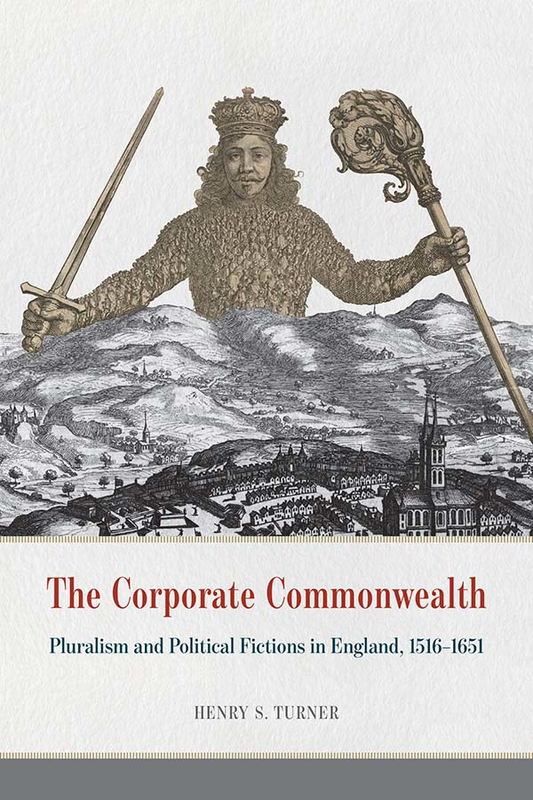 Now in print: The Corporate Commonwealth: Pluralism and Political Fictions in England, 1516-1651 (Chicago: University of Chicago Press, 2016). $45. Cloth. 344 pages, 8 black-and-white illustrations. What if the dilemma of 21st century political life is not that we have too many corporations but that we have too few? Could a future for the “commons” be written inside a corporate form? The Corporate Commonwealth traces the evolution of corporations during the English Renaissance and explores the many types of corporations that once flourished. Along the way, the book offers important insights into our own definitions of fiction, politics, and value. Click here for a preview on Google Books. The Corporate Commonwealth has been awarded the 2017 Elizabeth Dietz Memorial Prize for the best book in Renaissance Studies by SEL: Studies in English Literature, 1500-1900 and Rice University. The book also received Honorable Mention for the 2017 Barnard Hewitt Award for Outstanding Research in Theatre History by the American Society for Theatre Research. Check the “Ongoing and Upcoming” page for more information about ongoing projects, upcoming events, and the PhD graduate program in English Literature at Rutgers. “Love Your Corporation,” a brief essay for a special joint issue of the American Book Review and the electronic book review on “Corporate Fictions,” offers a series of theoretical hypotheses toward a new dissident political theory of corporations. I also recently founded The Society for the Arts of Corporation. Click the link to find out more about the Society and how to become a member, and read this brief essay in the journal postmedieval for an explanation of why I formed it. Look for a new essay on “Corporate Persons, Between Law and Literature” in the Oxford Handbook to English Law and Literature, 1500-1800, ed. Bradin Cormack and Lorna Hutson (2017). The essay tracks the notions of “person,” “personation,” “personality,” and “personification” from the common law to Spenserian allegory, Shakespeare, and Ben Jonson and concludes with a theoretical discussion of corporate personhood and the continued relevance of personification today. In October 2015, I spoke about my work on corporations at the Chicago Humanities Festival. The CHI is the largest public humanities festival in the United States. You can watch the lecture on YouTube here. I sat down with Jeffrey Gonzalez (BMCC, English) to talk about corporations in the Renaissance and today for a special issue of the journal NANO: New American NotesOnline on “Corporations and Culture,” edited by Jeffrey and Adam Haley. Acting, legal personhood, logos and advertising, colonial corporations, the corporate ego: read the interview here. Listen to an interview about The English Renaissance Stagewith Robin MacKay of Urbanomic, conducted during his fascinating installation at the Kunsthall in Bergen, Norway. The installation, “The Ultimate Yarnwork,” explores the notion of “plot” in design, cinema, politics, and spatial theory. I talked with Robin about the history of the term “plot” and its origins in the early modern spatial arts. Diagrams, mapping, theatricality, public drama, playwrights as craftsmen, John Le Carré’s structural imagination, and many other topics. Punctuated by dramatic readings of key literary passages from The English Renaissance Stage. A description of “The Ultimate Yarnwork” is here. My interview with Robin is on Soundcloud here (with images and video from the installation) and on iTunes here.